I’ve mentioned before that autumn is my favorite season. For the last few years I haven’t really been able to get out enjoy it; I was either in school or otherwise occupied. This year, however, I decided that I want to take full advantage of the festivities. 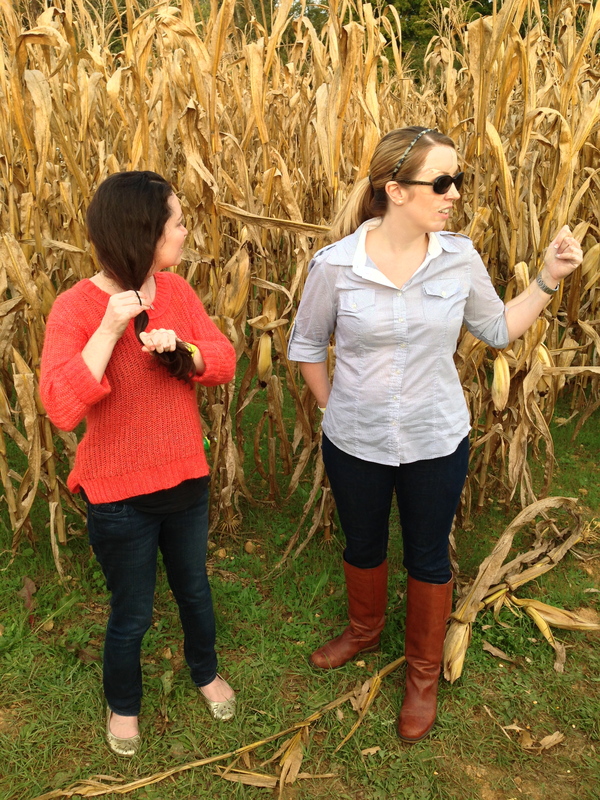 Going to a corn maze has been on my “to do” list long before I started doing New Things. I looked around town and determined that Honeysuckle Hill Farms has the most to offer. My friends Eric and Loren joined me for the day. 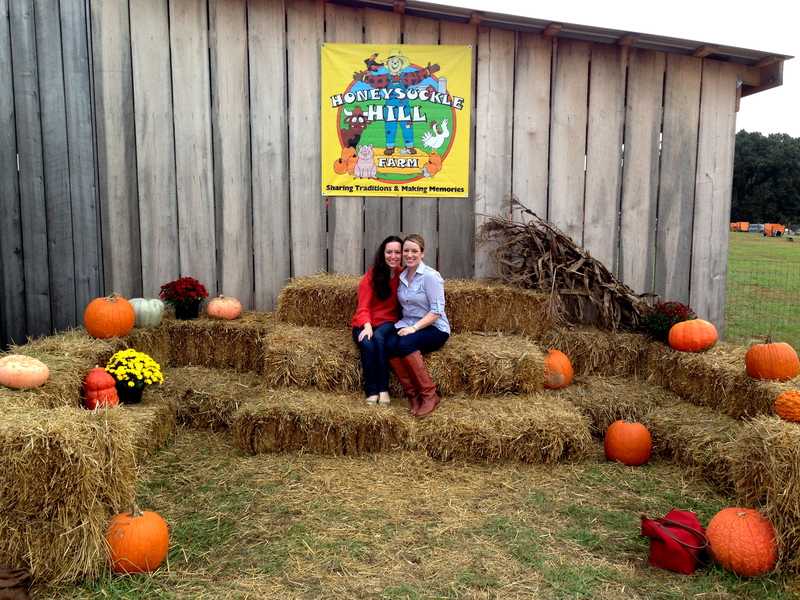 The farm was decorated for for fall with hay bales, pumpkins, mums, and everything else you could imagine. There were so many things to do we had to strategize our time a bit. The first order of business, of course, was chowing down on snackage. 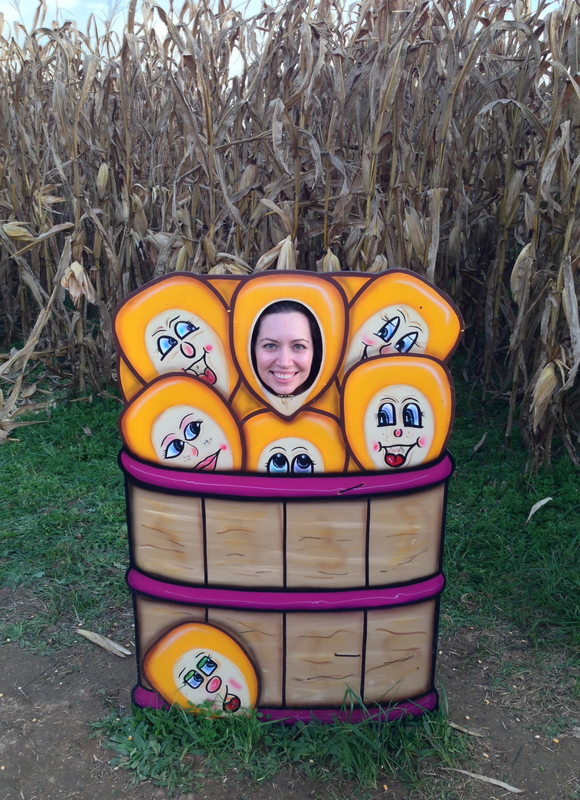 Going to a farm is a bit like going to a fair . . . you have to sample all of the treats. It’s the rule. One of the thing we were most excited about was the hillbilly pig races. Yes, really. Unfortunately, we didn’t make it there in time. Instead, we decided to visit and feed the farm animals. 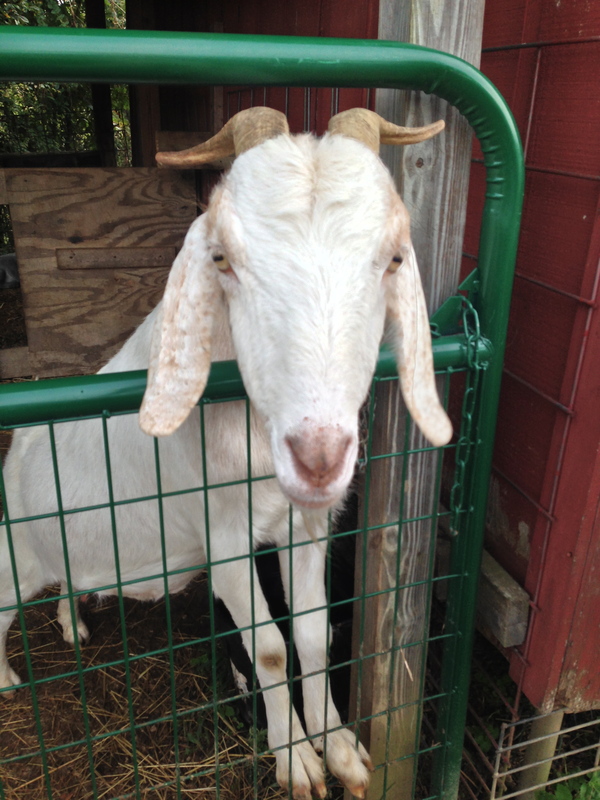 They were all very sweet, as petting zoo animals tend to be, and our favorite was a curious (and hungry) little goat. 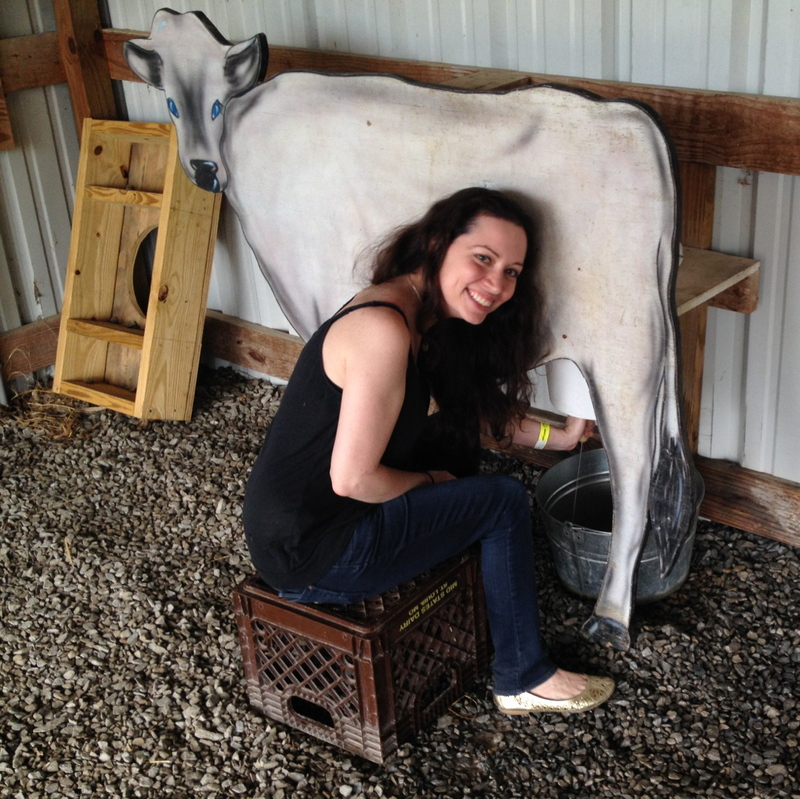 Along with the petting zoo was a stall where you could milk a fake cow. It was . . . well, a little weird. I feel that if I tried to milk a real cow (which is actually on the list) that she would be much less agreeable than a wooden cow. 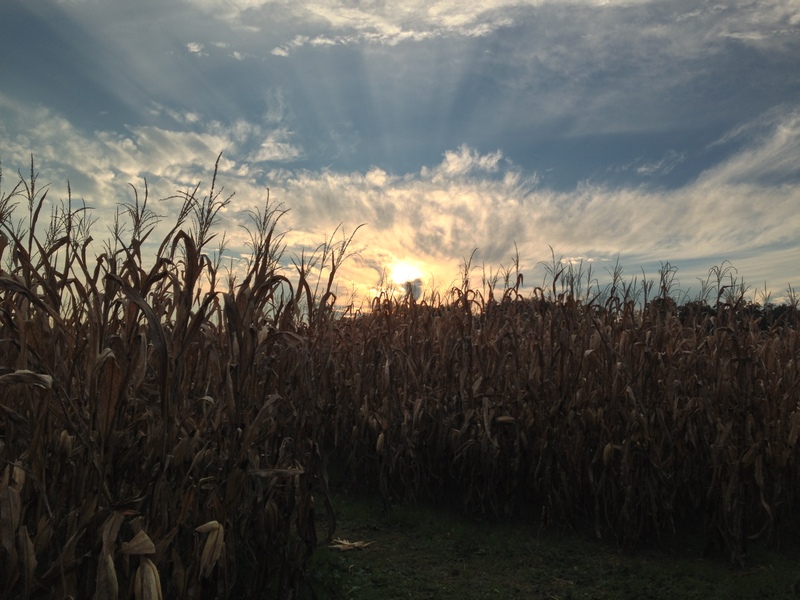 Next we moved on to the corn maze, which was shaped like George Jones’ face. 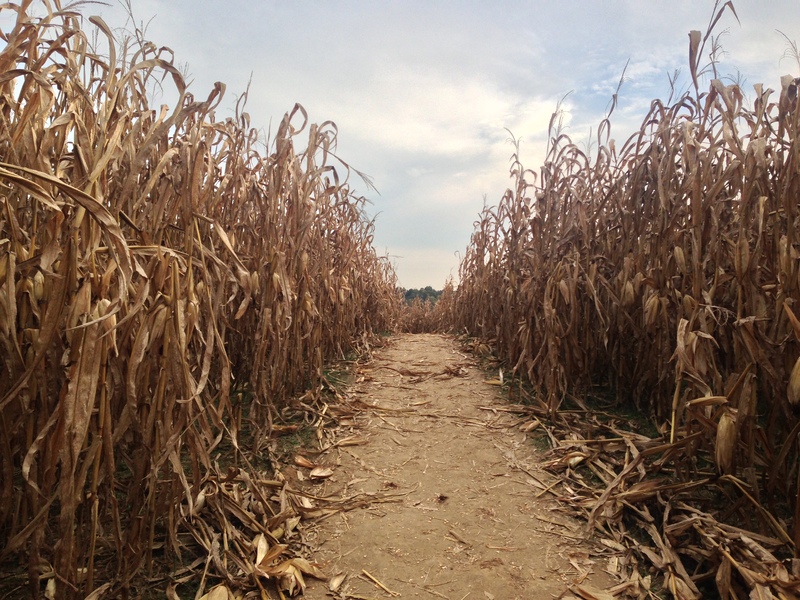 There were two corn mazes next to each other: the kiddie maze and the more complicated adult maze. There was a lot of confusion as to which maze was which. 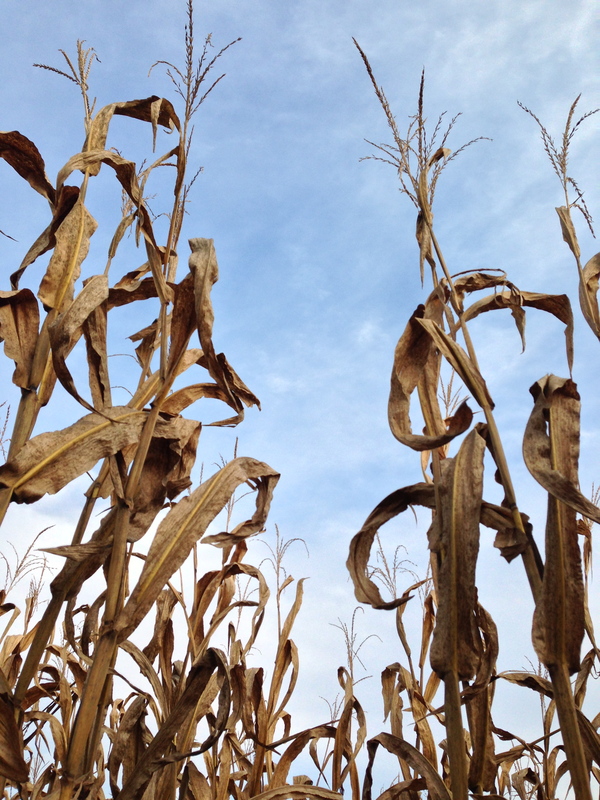 Eric pointed out that it shouldn’t be that hard to get in to a corn maze. With map in hand, we began the grand tour of George Jones’ head. Which made us all act a little corny. 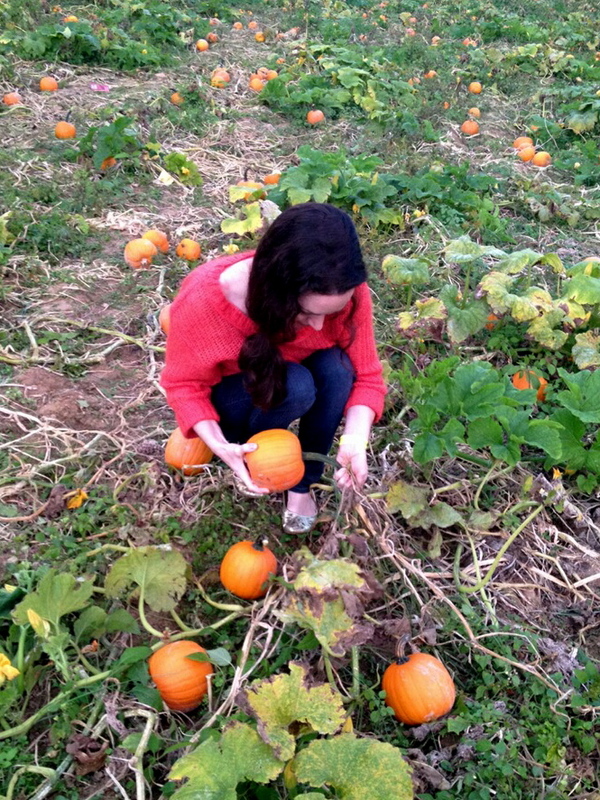 We finally made it out just in time for a hay ride to a pumpkin patch where we could pick our own pumpkins. When we got in line, we didn’t realize that we were actually being taken to a specific destination. We just really liked sitting on hay. However, we slowly put two and two together as we noticed that everyone getting off the hay ride was carrying pumpkins. Great legal minds at work, folks. 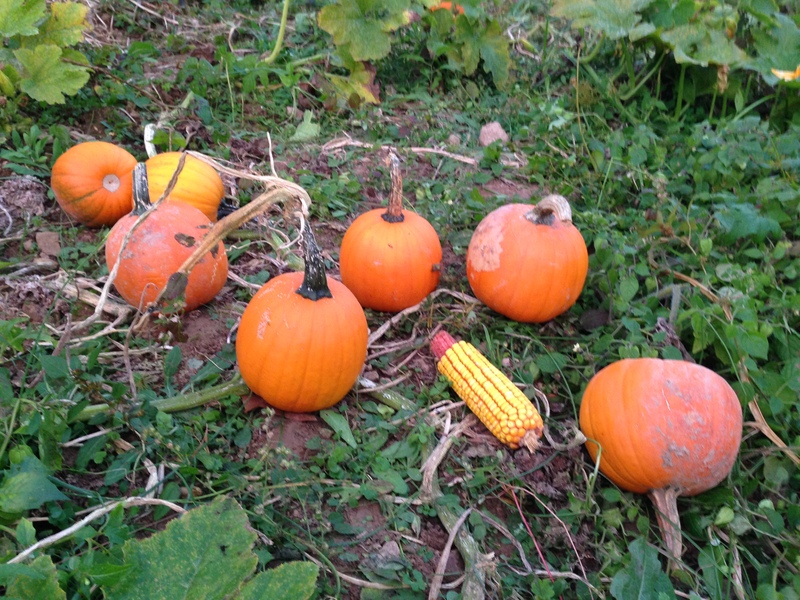 The pumpkin patch was littered with baby pumpkins and we had a blast picking out our own to take home. There were a ton that were still on the vines, but Eric theorized that they replenished the patch nightly with Walmart pumpkins. By the time we finished with the pumpkin patch it was dark … and time for the real fun to begin. 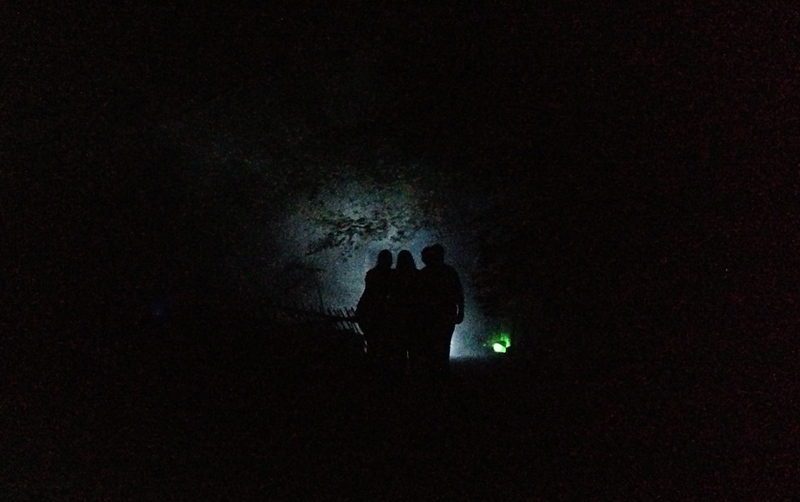 At night, the Honeysuckle Hill goes from a place for family fun to a creepy haunted farm. There are two main haunted attractions: The House of Terror and Scream Creek. The House of Terror, I suppose, is your typical fun house set up. Except this one was filled with murderous clowns. 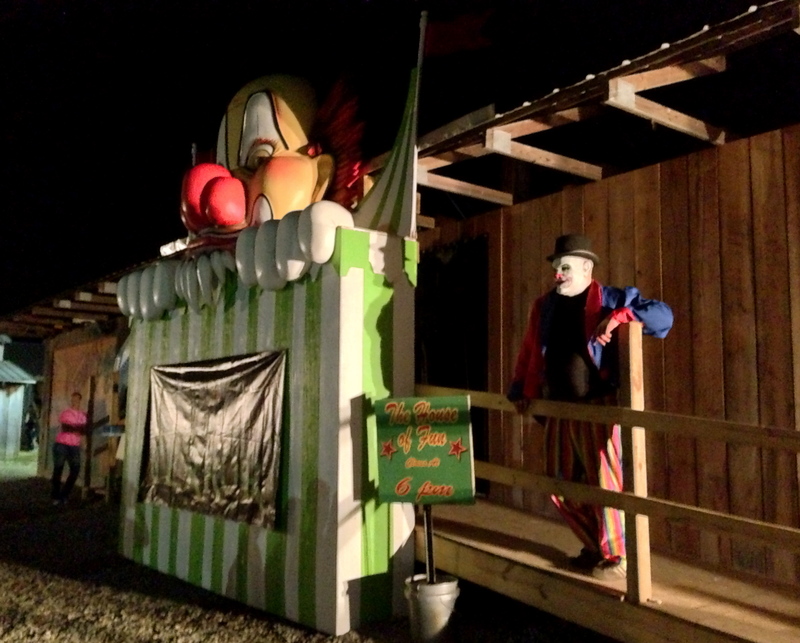 There was creepy circus music, rooms that had dead ends, and various other scary surprises. They kind of look like the Sanderson sisters, no? This was, hands down, my favorite new thing so far. 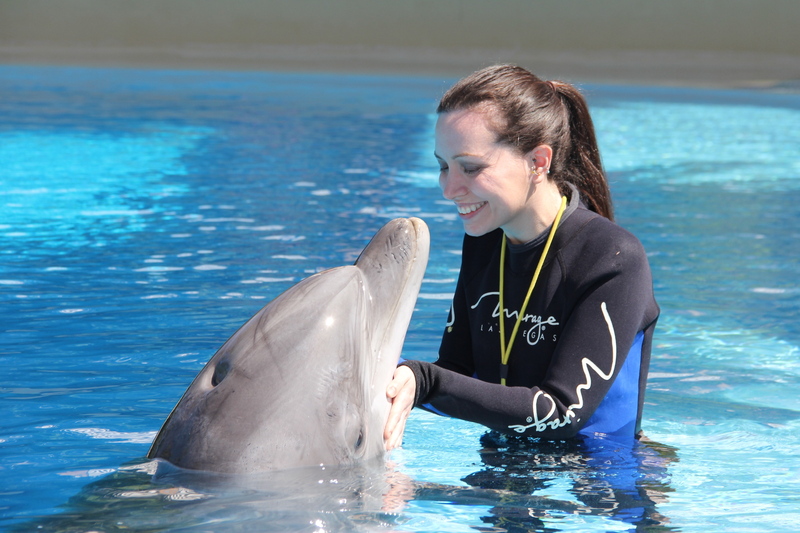 I can’t wait to make it an annual tradition and I might even go back once more before Halloween!